The CD “Deniss Pashkevich Hard Bop Legacy”, has been recorded during live session @ jazz nights associated with Andaluzijas Suns jazz events. 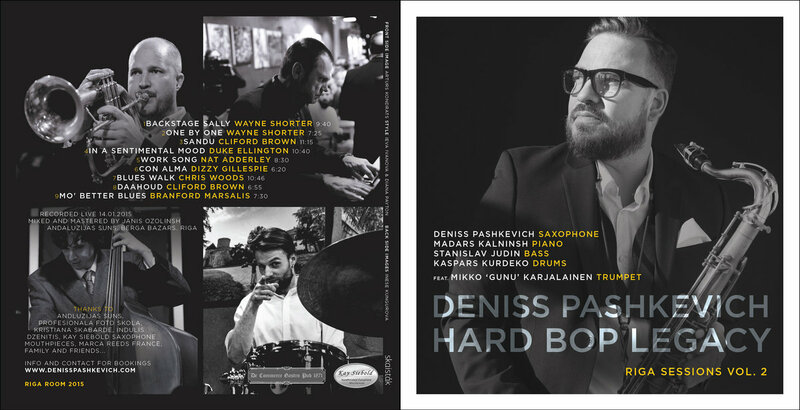 Produced by Deniss Pashkevich. This album will give you an idea and a great opportunity to enjoy well-known jazz and "hard bop" style compositions. 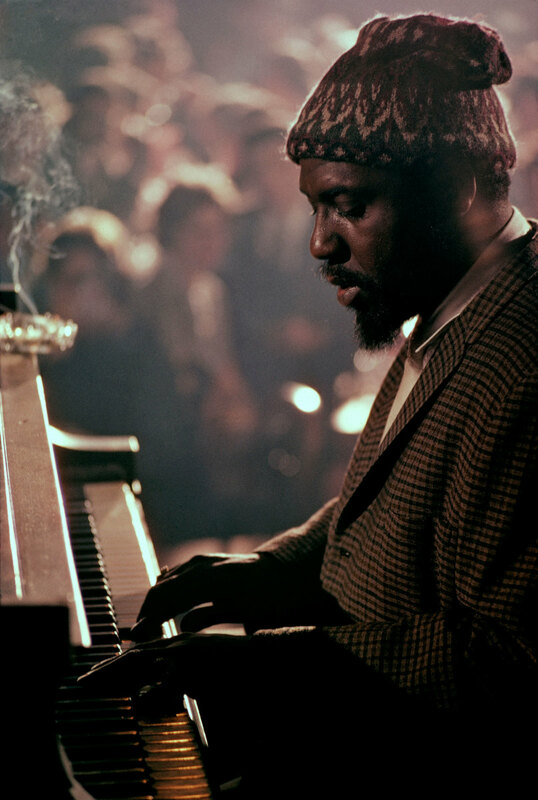 Recording is dedication to jazz music performed in 50th’60th. That indicates the roots in Latvia during that period of time. 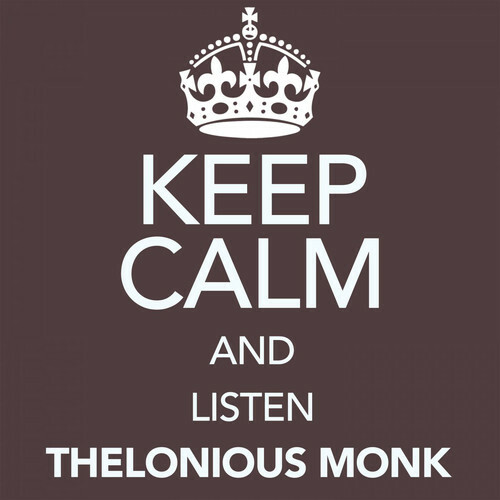 Recording is dedication to our teachers and friends representing jazz music. To mention the most outstanding musicians as saxophonist Raimonds Raubiško, trumpeter Gunars Rozenbergs and many other artists who has shared knowledge of "be bop" and "hard bop" music style to the nation. 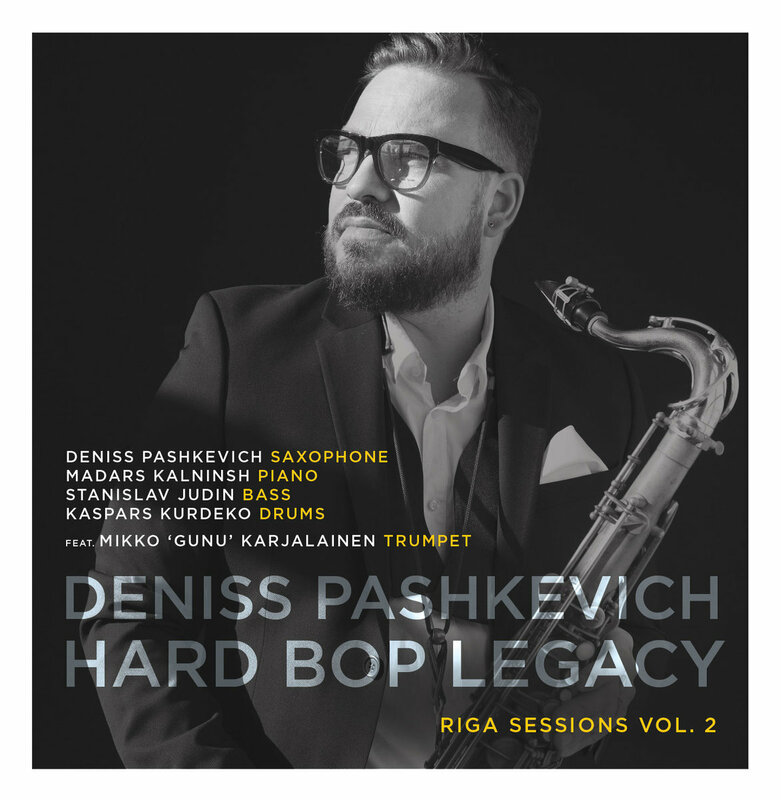 Deniss Pashkevich Hard Bop Legacy Vol.1 recorded live by Janis Ozolinsh.